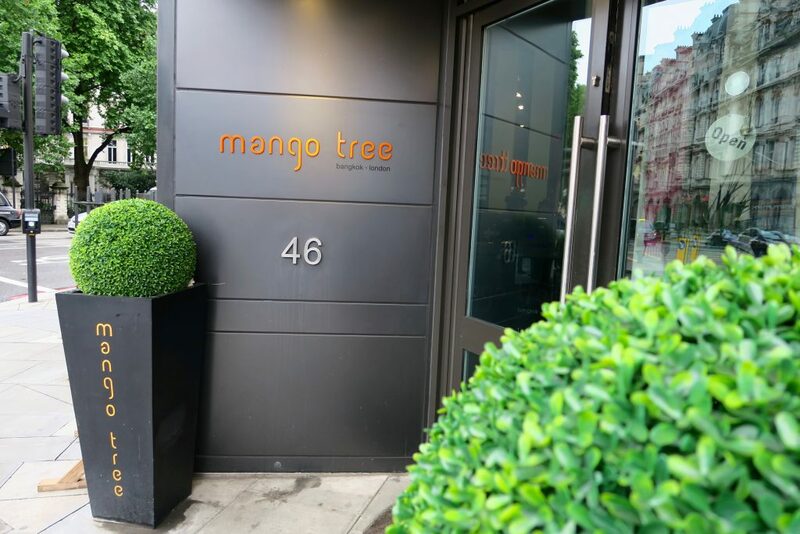 A couple of weeks ago me & James found ourselves in Belgravia to try out Thai restaurant Mango Tree. I don’t think I’ve ever eaten Thai food before. 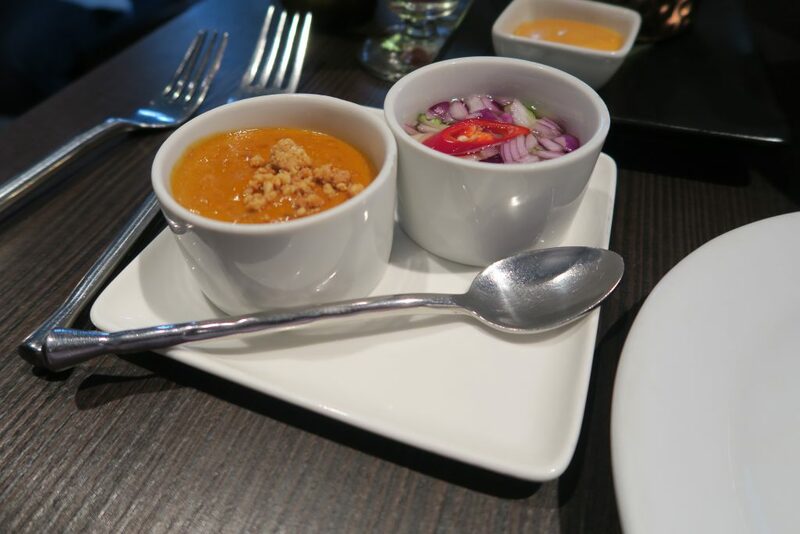 There aren’t really any nice Thai restaurants in our local area, so went the opportunity arose to visit Mango Tree Belgravia we couldn’t pass it up! 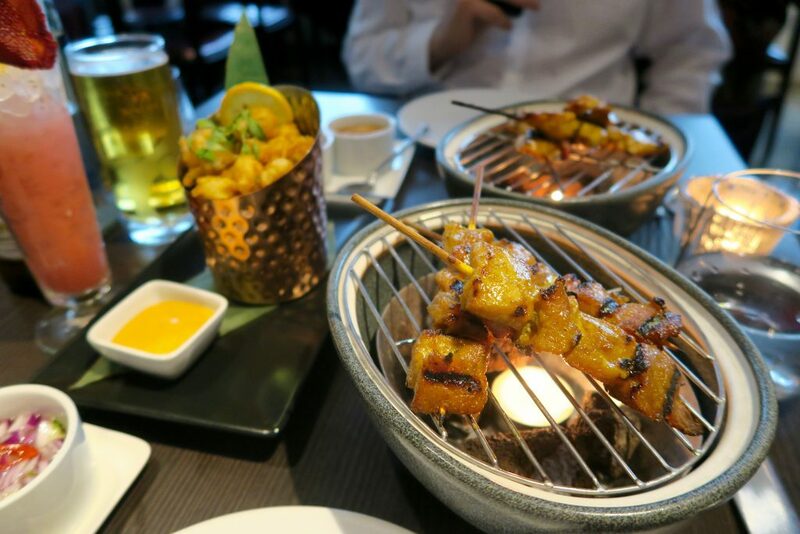 Originating in Bangkok the restaurant serves up tasty and authentic Thai food in a stylish environment. 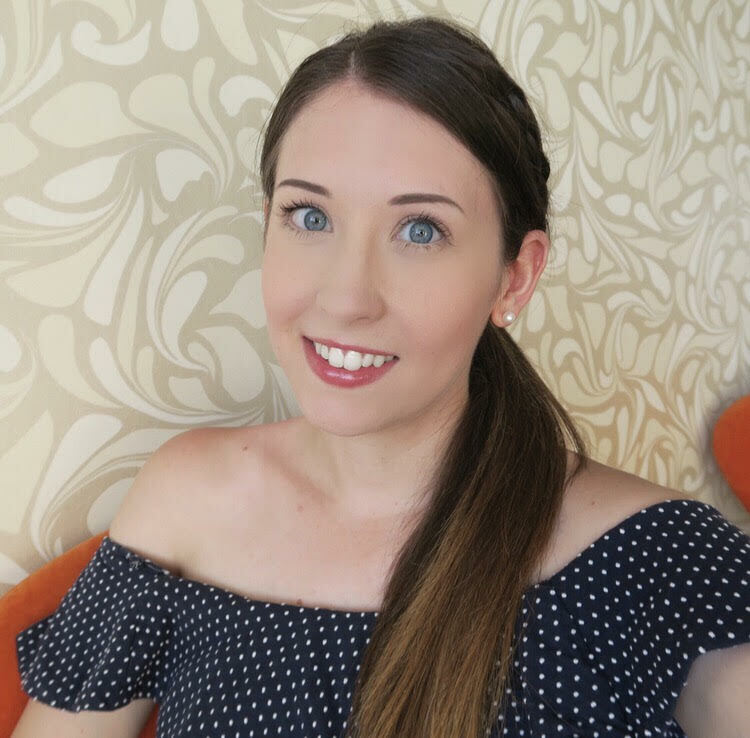 The staff are super friendly and very hospitable. When we walked in we were immediately greeted, offered drinks and asked if we’d like to place our coats in the cloakroom. The small touches really make an experience and there is no lack of service at Mango Tree! Once seated we were served our drinks. I opted for a “strawberry monkey”, a non-alcoholic cocktail containing fresh strawberry, orange juice, pineapple juice, banana and coconut cream. Oh my was it good. I must have downed it in the space of a couple of minutes. 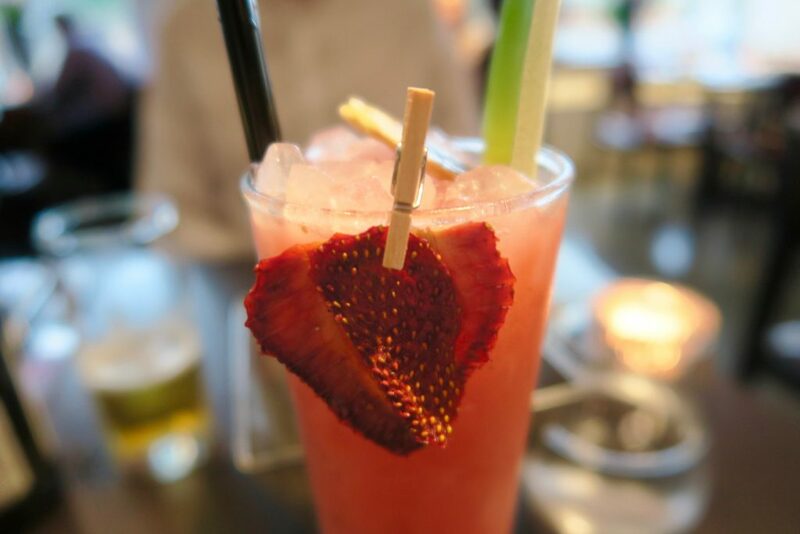 I loved the little touches on the drink like the tiny peg with dried strawberry attached. I’d recommend this one to anyone! 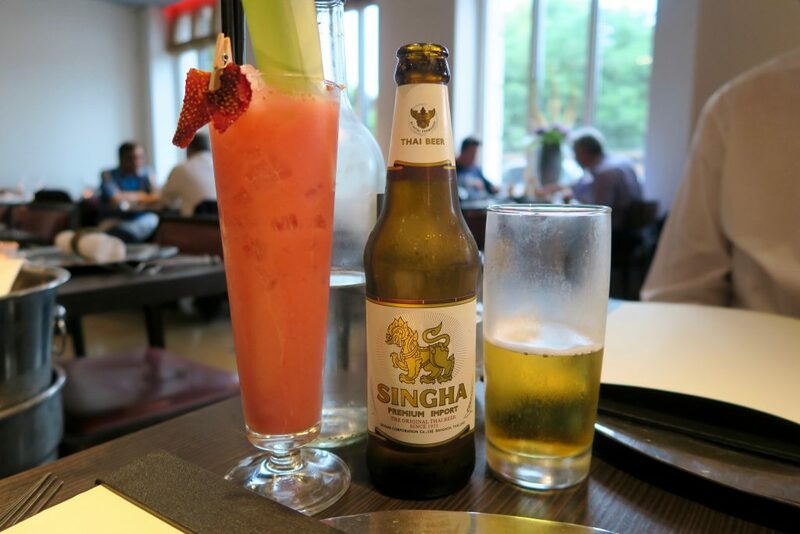 James opted for a traditional Thai beer, Singha, which he assures me was very nice! We also had some complimentary prawn crackers placed on the table for us to nibble on whilst we were making our menu selections. 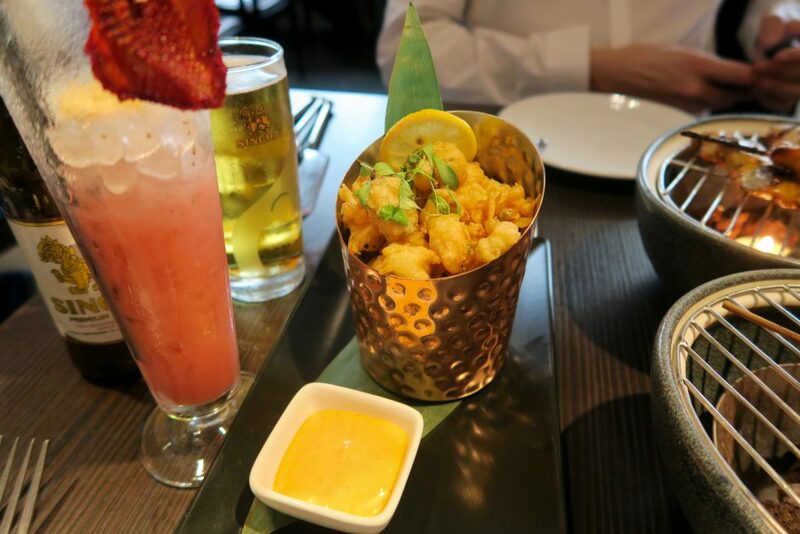 For starters we shared the popcorn shrimp (9.75) and chicken and pork satay (8.50 each). Both were delicious, I love seafood and popcorn shrimp never lets me down. 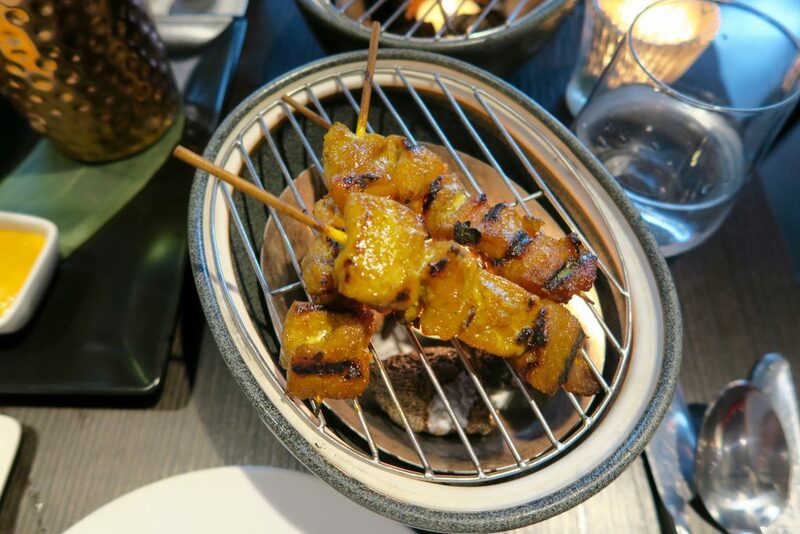 The satay was very tender and marinated in a honey sauce – so tasty! They came with two sauces – peanut sauce and Thai sweet vinegar which were both nice additions to the dish. The popcorn shrimp came with a creamy mayo type sauce that had quite a kick to it! By the time we had finished our starters I could feel myself becoming ever fuller, but I couldn’t pass up the chance to try the mains! 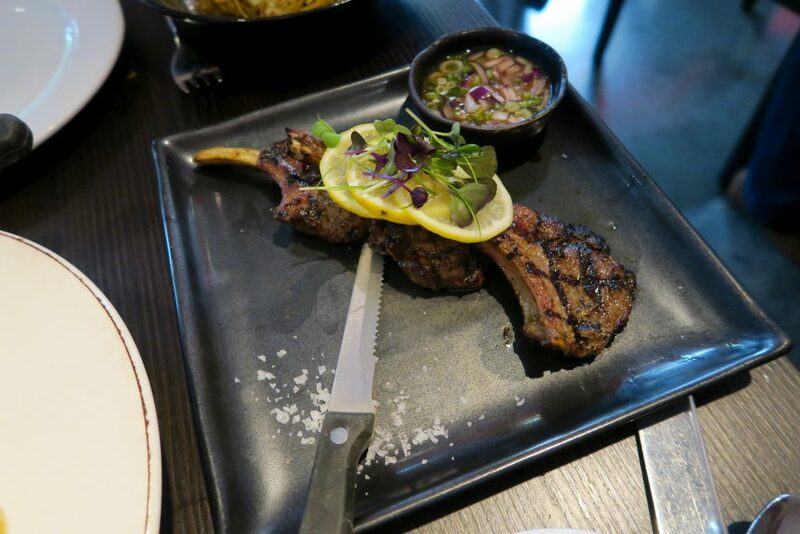 I had “Gae Yang Sa Mun Prai” (19.95) which was basically grilled herb-marinated rack of lamb, with accompanying spicy sauce. I got a side of “Kow Pad Kai” (4.00) with my dish, which was essentially stir fried rice with egg. 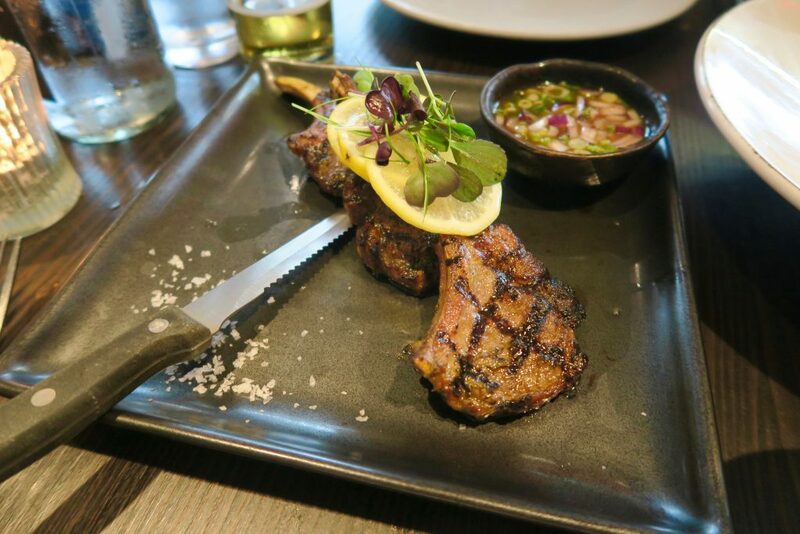 Again, this was so tasty, the lamb was cooked to perfection and it fell off the bone. The portion sizes are also just right, perfectly filling. 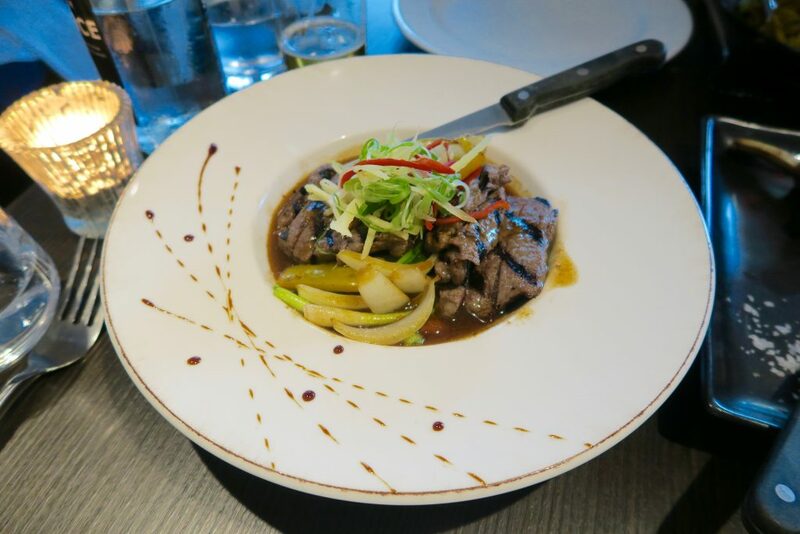 James opted for the “Neur Phad King” (20.25) – this dish was made up of grilled sirloin beef, stir-fried with onion, mixed peppers, ginger, garlic and oyster sauce. He really enjoyed it and kept saying how much of it there was! He had a side of “Pad Mee” (6.50) stir-fried egg noodles with soya sauce, garnished with spring onions. This dish was HUGE, everything looked so tasty we even had people on the next table leaning over and asking us what we had ordered! 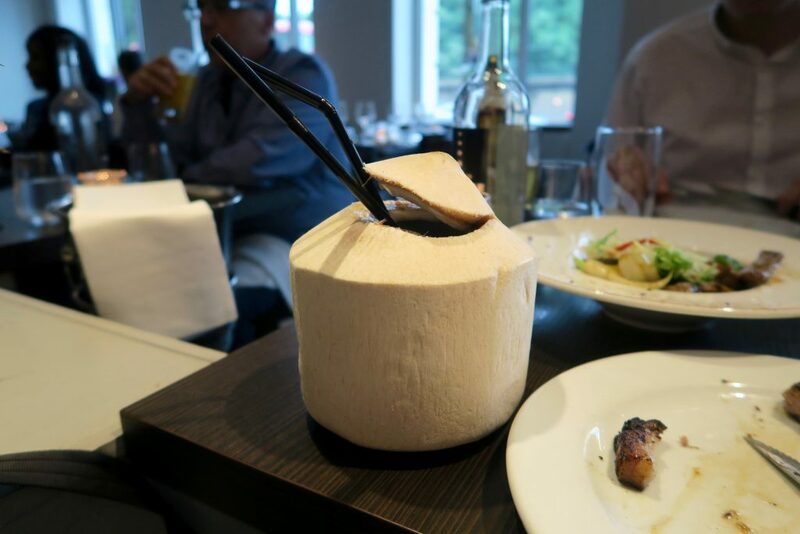 One of the highlights of the meal for me was when the manager came over and asked if I’d like to try some coconut water. I love a bit of coconut water. In fact I’m a sucker for most coconut flavoured things, but I wasn’t expecting it to turn up in an actual coconut!! This was such a cool touch. So tasty, refreshing and perfect material for an Instagram addict. 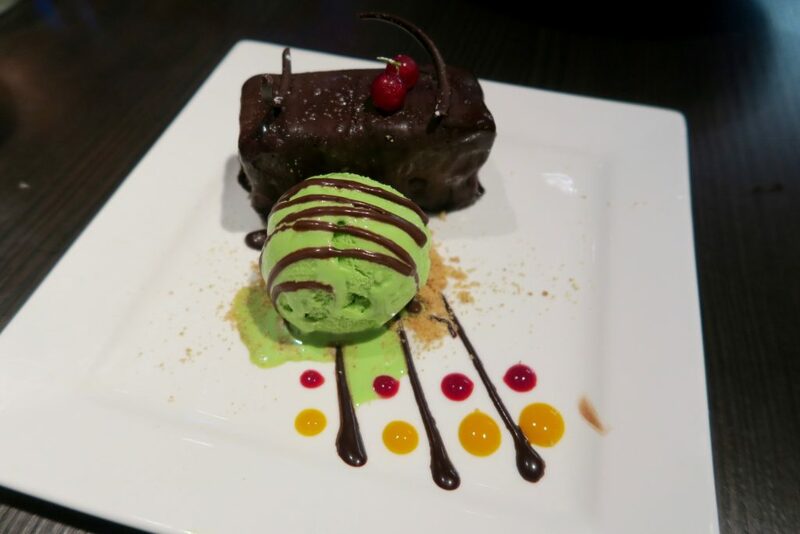 Of course we couldn’t finish the meal without opting for some dessert. 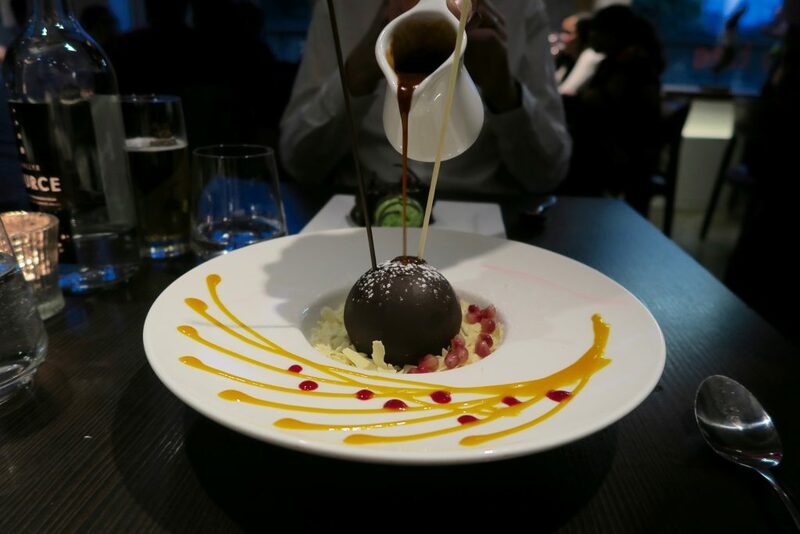 I chose the chocolate sphere with salted caramel (8.95). This came sat on a bed of white-chocolate shavings and pomegranate seeds. 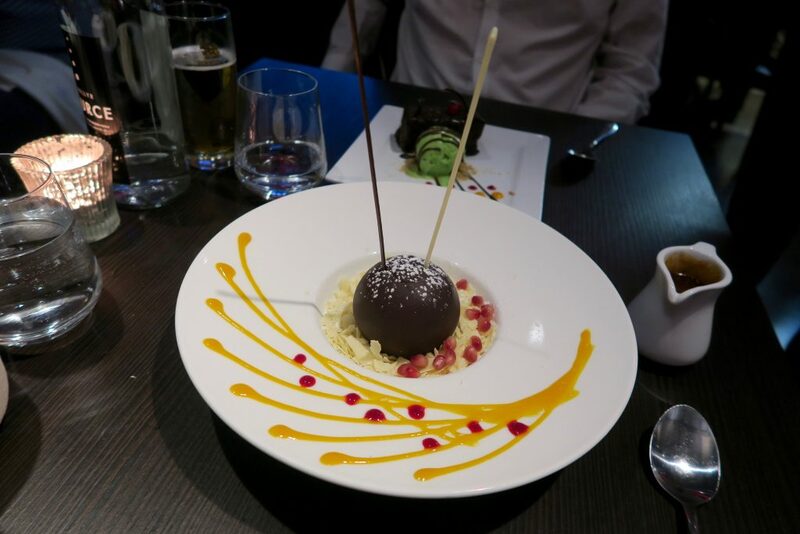 It had a vanilla ice cream core and our waiter expertly poured the accompanying warm salted caramel sauce onto the sphere so it melted into the plate. James chose the three chocolate cake (8.95) – a sponge based cake with 3 types of chocolate and vanilla ice cream (which was oddly green, but very tasty). All said and done our bill was about £160. Although this is expensive for a meal out we did really indulge and it was one of the nicest meals I’ve certainly had in ages. It would be perfect for a special occasion. 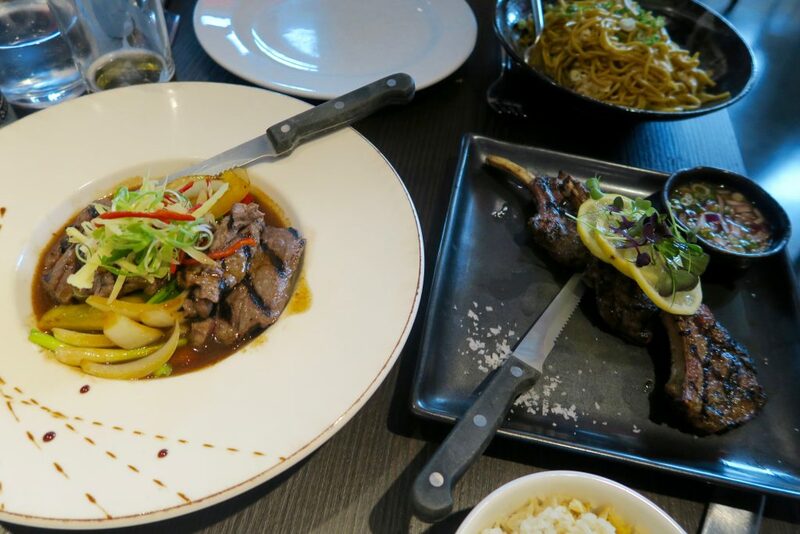 You can’t fault the quality of the food and the exceptional service, and neither of us left feeling hungry. If you’re ever in Belgravia and fancy treating yourself I’d recommend you get yourself down to Mango Tree. However if the price point is still a bit high for you Mango Tree run a number of promotions. On Saturday and Sunday you can get your hands on a 3 course menu from 20.95 per person. They also run a pre-theatre menu where 2 courses cost 17.95 – excellent value for great quality food. You can see all those offers in more detail here.